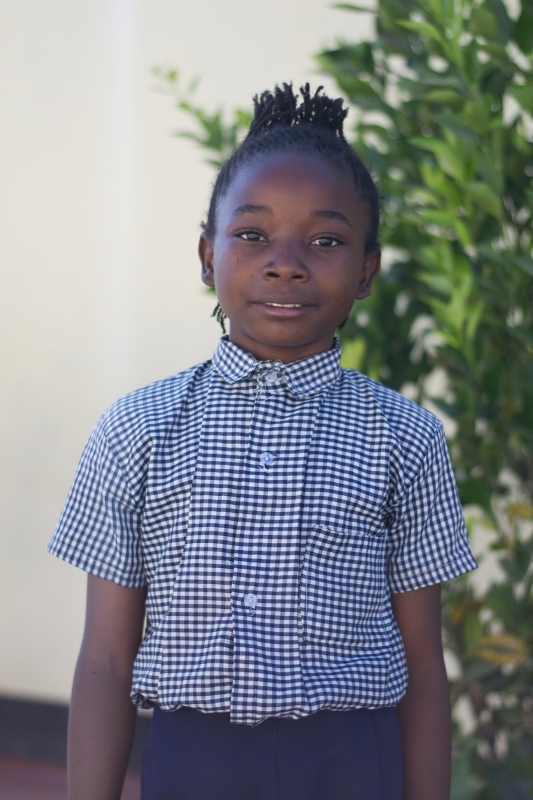 Hello, my name is Mwila and I am nine years old. I live in Chipata Compound with my Mother and five siblings, and I am thankful to be a student at Lifesong Harmony School. My favourite subject is math and after school I like to help out around the house with daily chores. Something else you might want to know about me is that I love the colour blue and my best friend is Lenny. When I grow up I want to become a teacher so I can help other children learn just like my teacher helps me.